Velma Yount is a current Southwest Airlines Flight Attendant. During her tenure, she has heldpositions on both the Interview and Online Training Teams. She has worked the Rangerette Mini Camps veteran and always enjoys promoting the Rangerette organization. In October 2014, on behalf of Southwest Airlines, Velma coordinated a Rangerette performance at Dallas Love Field to celebrate the “Kick Away the Wright Amendment”. She takes pride that her daughter was a member of the 69th line and they share the same experience a "few" years apart. She is married to Gary Yount and they currently reside in Willis, Texas. Lisa Walker is a proud member of the 45th line of Rangerettes. Since then, she has spent over 25 years in leadership roles in the development of restaurant real estate for brands like Wendy's, Corner Bakery, and, most recently, El Pollo Loco. She seeks opportunities to give back to the Kilgore College Rangerettes, The University of Texas, and various charitable organizations around the Dallas metroplex. Regina Wyatt is a retired Dallas ISD Administrator, a former elementary drill team director, and a Rangerettte Mini Camp chaperone. She is a lifetime member of the Rangerettes Forever and she has performed with the Forevers at the Shrine Bowl game, the Macy's Thanksgiving Parade, the 50th Anniversary of the Rangerettes at the Cotton Bowl Parade and Classic, and the Rangerette Revels. She is a lifetime member of the Kilgore College Alumni Association and is currently a mentor to a Rangerette adoptee. She is married to Steven Wyatt of Cedar Hill, TX. Nancy Greer is currently a VP of Strategic Corporate Development in the Raytheon Corporation. Prior to this, she served as VP and Chief Financial Officer for Raytheon Intelligence and Information Systems and Alcatel North America. She has been the Controller for DSC Communications as well as serving numerous clients as an audit senior manager at Ernst and Young. Nancy is a CPA. She is past President of Garland Junior League as well as past Treasurer of Good Samaritans. She has two daughters, Lindsay and Taylor (a member of the 70th Rangerette line), and is married to David Greer and they reside in Parker, Texas. Beverly Swatzell is a career teacher, a former high school drill team director, a former dance studio owner, as well as a recipient of the Fulbright Teacher Award. She coordinates chaperones for the Rangerette High School Camps and she organized the Dallas-Fort Worth Regional Chapter of the Rangerettes Forever. She is married to David Swatzell of Colleyville, TX. Mazie Mathews Jamison retired from North Texas’ only pediatric teaching hospital as its first Chief Public Policy Officer. She has been directly involved with the Rangerettes Forever since the group's organizational meeting and has served in numerous leadership roles. She was co-chair with Dana Blair of the Rangerette 75th Anniversary Celebration. She was named 2015 KC Ex-Students Association Distinguished Alumna. Mazie is a dog lover who lives in Dallas with Ron, her husband, and their two Papillions. Barbara "Pill" Harmon Malm is a retired teacher and former Assistant Director for the Kilgore College Rangerettes. She directed high school drill teams and cheerleaders as well as local preliminary pageants in the Miss America Scholarship Pageant System. She is employed at the Rangerette Showcase Museum and resides in Kilgore. Mackenzie is a part of a family Rangerette trilogy which includes her mother, Kim, and sister, Meredith. She graduated from TCU and was a TCU Showgirl after Kilgore College. She is current director of the Plano East High School dance team. She is a regular chaperone for Rangerette High School Mini Camp. Lara Miller is currently an Account Representative for Education Advanced/Test Hound and lives in Tyler, TX. She has worked in education the past 17 years serving as a high school guidance counselor, drill team director, dance teacher, and Fine Arts Department chair. She choreographs and teaches various drill teams and studio teams across the state. Lara is married to Jeff Miller and has one daughter, Morgan. Rebecca Henderson owns her own law firm in Tyler where she has been practicing law since 1995. She served as the Alumni Coordinator for the University of Texas at Tyler before attending law school and remains active in various charitable organizations in Tyler. She is proud to have been a Rangerette and Lieutenant, and has maintained her connection to the East Texas drill team world over the years by judging various drill team and officer try-outs, and through her two oldest daughters, both of whom have served as Officers of the Robert E. Lee High School Southern Belles drill team. Rebecca has served as the President of the Southern Belles Booster Club for the past two years, and is excited to continue indulging her love of drill team by volunteering her time as a member of the Rangerette Board. Audrey graduated from Texas A&M, following her time at Kilgore College as a Rangerette, Swingster and Lieutenant in the 47th line. She has been a Certified Public Accountant for 25 years, holding various finance leadership roles in the Dallas area. Audrey is currently serving as Senior Vice President of Finance and Human Resources, Americas, for BCD Meetings and Events. She has remained active in the dance world, was a Dallas Mavericks Dancer, and adjudicates dance/drill team events for various dance companies. Audrey enjoys volunteering at local schools and clubs in support of her twins, Ben and Lexi. 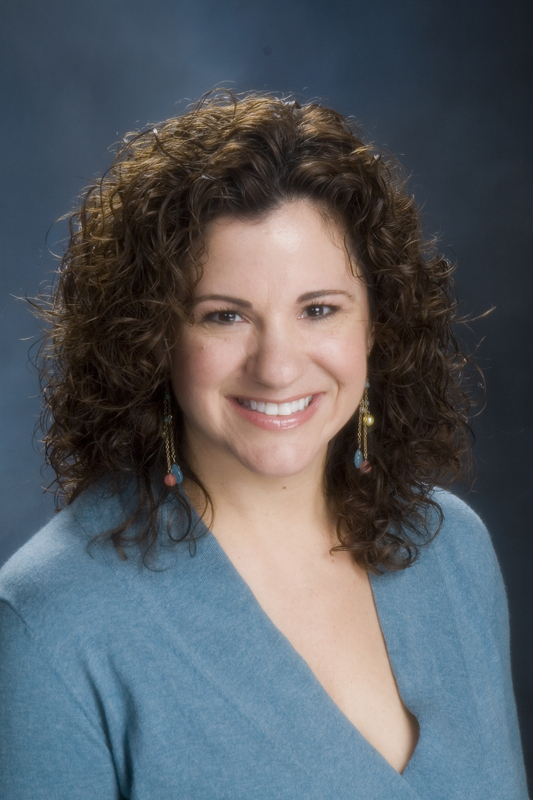 Mandy O'Neill is a professional with 18 years experience in the nonprofit sector. Throughout her career, she has been responsible for executing stimulating programs and substantial revenue generation to exceed organizational goals across the country. In early 2012, Mandy joined Leukemia Texas as their Chief Executive Officer. Over the past 5 years, their budget has grown by 250%. Mandy has also served her community as a volunteer advocate, ambassador, and Board Member to many non-profit organizations in the DFW area. Over the past 18 years, Mandy has generated over 23 million dollars for local and national organizations. In 2008, Mandy was selected as one of Dallas’ 10 most beautiful women by D Magazine, who also quoted her as “a non-profit’s dream” noting her appreciation and love to give back. She currently lives in the Dallas area with her husband, two young boys and dog. Tena Royal is currently a Senior Management Analyst for the City of Fort Worth. She has over 25 years experience in project management and process improvement with IBM, Santander Bank, and Intuit to name a few. She is an active member of the DFW Forevers and currently serves in the finance leadership role. She has also volunteered as a chaperone for the high school camps and assisted with the Gussie Nell Davis Classic. She is single and lives in Arlington, Texas where she spends her free time with her daughter and two year old grandson. She loves being a grandmother!